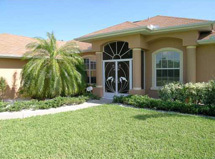 Find a wide choice of Port Charlotte Homes for Sale. View homes in quaint, affordable neighborhoods or luxury, gated waterfront communities. Browse through the listings of Port Charlotte homes for sale and find the perfect one for you. Port Charlotte, FL tops the list of BEST communities, named best place to live, best place to retire and more. Port Charlotte, FL is an affordable slice of paradise. Call us at 941-235-7474 or email us at sales@suncoasteam.com for prompt, professional assistance with your home search. Port Charlotte is a hidden jewel. Located on Charlotte Harbor, a large, clean estuary, boaters will find Port Charlotte the perfect location for boating, fishing or sailing. Suncoasteam Realty will help you find the right Port Charlotte Homes for Sale that will meet all your needs. Call us at 941-235-7474 or email us at sales@suncoasteam.com for prompt, professional assistance with your home search.